The number of immigrants who are pursuing careers in science as well as engineering in the US has been growing, as per the new report of National Science Foundation. According to the report, an estimated 5.2 million or about 18% of the nation’s 29 million scientists as well as engineers were immigrants in 2013 up from 3.4 million or about 16% in 2003. Researchers stated majority immigrants in the industry were more likely to earn post-graduate degrees when compared to citizens belonging to the US. Katherine Hale, an analyst for the national center for science and Engineering Statistics and a co-author of the report said, over time if you look at the trend, you see an increase in immigrant’s presence, The Center is a branch of National Science Foundation. Experts say a variety of complex and often controversial factors have contributed to this growing immigrant labor pool. It also an issue that has become politicized in the recent years. American companies call on govt official to bolster worker visa programs alleviate what they say is a labor shortage in the industry; Critics state that employers are misusing these programs to hire cheap foreign labor. STEM (Science, technology, engineering, and maths) salaries have not increased that much; There has been no rise in wages. It would indicate a shortage. The report was made from the data collected through two biennial surveys, the national survey of college graduates and survey of doctorate recipients. The survey included naturalized US citizens, permanent residents, and temporary visa holders. About 63% of the nation’s STEM employees were naturalized citizens in 2013 while around 22% were identified as Permanent residents and 15 % were temporary visa holders. Immigrant scientist, as well as engineers, was more likely to earn masters and doctorate degrees than their US-born counterpart, as per the report. Foreign-born individuals have also earned a higher median annual salary when compared to US-born counterparts due to higher education levels, the report stated. The foreign-born scientists, as well as engineers, have reported a median annual salary of $72000 compared with $62000 for US-born employees. It suggests that immigrants do possess skills indeed that American lack or they are simply are more effective workers, they are more in demand hence rewarded, Skrentny said. Most international students are in STEM fields, and they are coming from nations such as India and China. In each of those cultures, it is strong to be an engineer or a doctor, she said. The majority of the immigrants in science, as well as engineering industry, about three million, hailed from Asia including 95000 from India, the report stated. 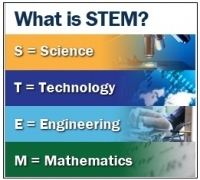 Lee said that employers in STEM field often look to hire people with very particular skill set, and US workers do not always poses those qualifications. A lot of US born workers who are out there engineers who might not have been keeping with the latest tools, codes, languages and all of that, she said. Foreign-born employees are often granted temporary stays in the nation under H-1B visa program, it allows US employers to recruit and employ foreigners in specialty occupations. Under the program, we find immigrants are granted three years of temporary stay in the US which is a possible renewal for three additional years. As many as 65000 H-1B new visas were issued each fiscal year as per the US citizenship and immigration services. Nearly half of STEM student at US universities would be requiring a visa to stay after graduation as per Alice Tornquist, Qualcomm’s vice president of govt affairs. Harrison, who acknowledged that foreign labor adds value to US economy, said IEEE-USA is for having immigrants and not temporary visa holders contributing to the workforce.